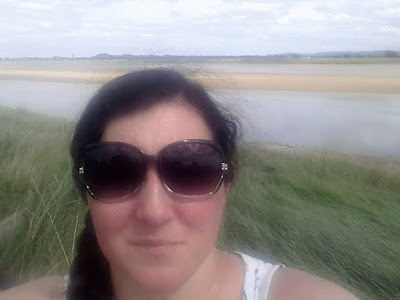 Since I waved goodbye to my tiny twenties and thinnish thirties, I have found it much trickier to find clothes I feel comfortable and confident in. The summer poses a particular problem, when, like many people, I face the issue of having to wear less clothes in order to keep cool, but not wanting to wear anything too revealing. Dressing for my age is very important to me. I know it's personal choice, but I don't feel right with too much on display. 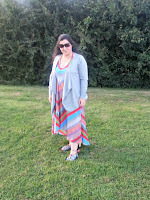 So, when Simply Be offered to send me an outfit to try out, I was really keen to see what was available for the summer season, from a company who specialise in the plus size. The idea of the post was to showcase all the fabulous Plus Size Day Dresses that Simply Be has to offer. There was an awful lot of choice and I didn't have any trouble at all finding several I liked the look of. 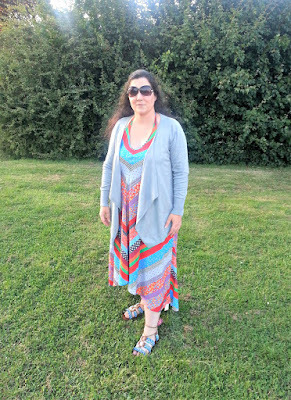 I didn't want it to be too short, but still wanted it to look summery, so I chose a floaty style with a colourful pattern that gave me lots of options for accessorising. The Halterneck Dipped-Hem Maxi Dress is a really lovely fit, it flows really well and I thought it was a flattering cut. The fabric is light enough for summer, but has some weight to it, so it won't be over your head in the slightest breeze, or revealing more than you intended when the light's behind you. When you are self conscious about your size, cover ups for your arms can hide a multitude of sins and really improve the profile of your outfit. This Waterfall Cardigan in Grey Marl is perfect for the job. It is made from a fineknit fabric that will fall beautifully at the front, creating a flattering effect and provide all the cover up you need without being uncomfortable or too hot. The shoes I chose to go with the outfit were the Sole Diva Lace-Up Beaded Sandals. 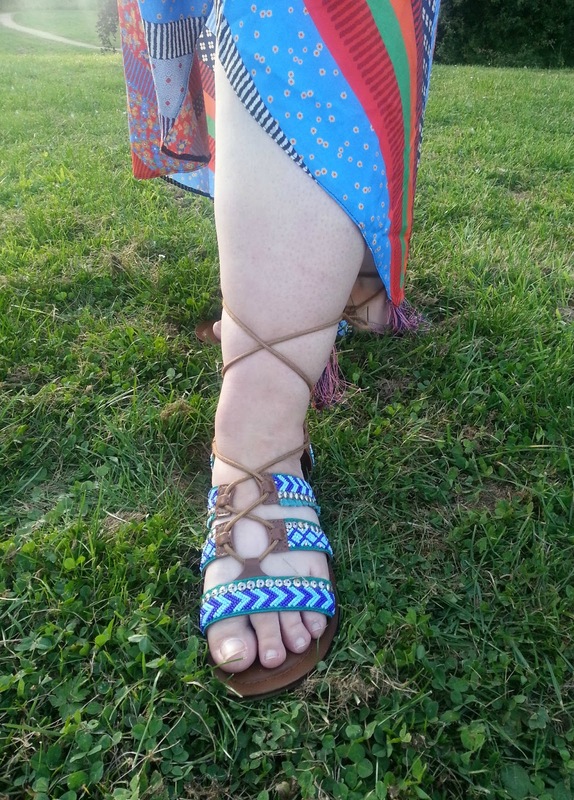 These were beautifully made, with lovely bead detailing and tassles on the ends of the laces. I thought they looked lovely on and complimented the outfit perfectly. However, the only slight issue I had was that there wasn't enough lace to tie them up properly, in the way they were tied in the illustration. I felt that, considering this was a website that promised to cater for every size and shape, this was a bit of an oversight. I did wonder, though, if it might not be a problem for others, as I know I have issues with long boots too, so it could just be me. I couldn't get the lace-up parts to stay up, however hard I tried and, after walking a few feet, they would fall down again. The shoes still stayed on though and weren't too difficult to walk in and I thought they looked great. I'm still not convinced I was tying them up correctly, so I might have a bit more practice! I also chose some sunglasses from the accessories range, which I love. They are large enough to provide maximum sun protection, but I don't think they look too big or intrusive and are very good quality. Overall I felt the quality of all the items was excellent and I think I will be wearing them for many more summers to come.